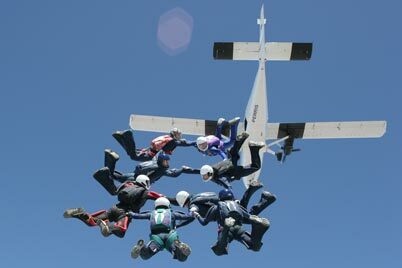 All about skydiving and parachuting in Kent, United Kingdom. 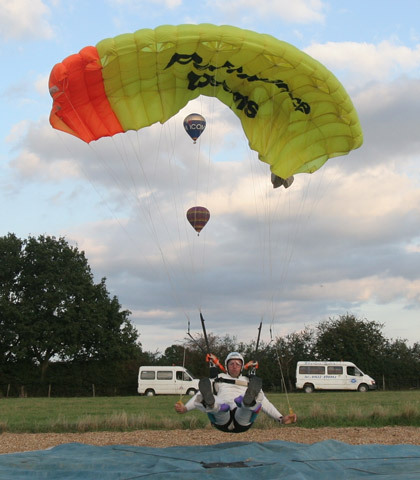 This web site is all about skydiving and parachuting in kent. Run by experienced skydivers - we hope to bring as much evidence of the sport as we can, both at home and while travelling the world looking for adventure. Jumping is a fantastic experience that you can’t portray in any way - and skydiving with your mates is the best fun you can have with your clothes on. Skydiving is not just a social thing, it is very visual, and thanks to tiny video and digital cameras we are able to relive every moment of the skydive. Pictures from the 8 way team. 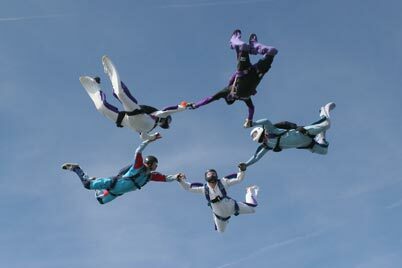 These are pictures from some of our four way skydiving teams based at Headcorn Parachute Club. Pictures from the 28 way competition at Hibaldstow.